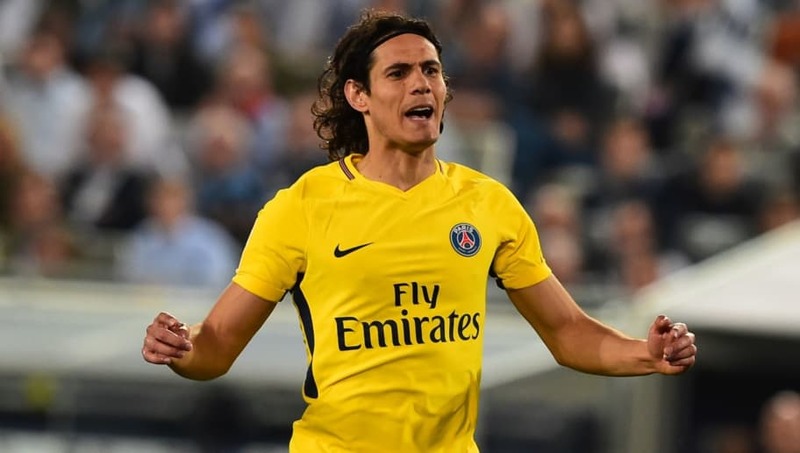 ​Chelsea have reportedly made initial contact with Paris Saint-Germain over the transfer of Edinson Cavani in a bid to secure a replacement for Alvaro Morata, should the striker return to Juventus this summer. ​Reports earlier in the week claimed the Spaniard is desperate to return to Italy and has already agreed personal terms with ​Juventus, which will see him take a significant pay cut to realise the move. After a slow start to life at Stamford Bridge, Tuttosport (via the ​Metro) now claim ​Chelsea are not prepared to sit on their heels as they are already planning life without Morata by approaching PSG's leading man Cavani. Despite Cavani leading both the PSG and Ligue 1 scoring charts, the Parisians are happy to cash-in on the 31-year-old following a series of clashes with world-record signing Neymar - on the condition that they too find a replacement for their departing striker, with ​Bayern Munich's Robert Lewandowski heavily linked. Cavani's age is understood not to be an issue for the Blues who believe his height and strength make him a perfect fit for the ​Premier League, who is considered an upgrade on the struggling Morata - who has scored just 11 league goals since his club-record move from ​Real Madrid last summer. Chelsea have already made an approach to PSG but they are not the only interested suitors as ​Atletico Madrid and Juventus are also keeping tabs on his situation. What is your perfect career in football? Like a young Pep Guardiola, your passion for coaching and teaching others to improve shows you have the mind-set, skills and drive to make it as a Football Coach. All the greatest players have an even greater coach behind them! Your drive to support other members of the community sets you apart and shows you have the selfless characteristic to excel as a Disability Support Manager! Your thirst to travel the world in order to be at the forefront of the debate, along with your sharp eye for a story makes you a natural football journalist. You can’t wait to get out there and find the best action on and off the pitch! You know that numbers are just as exciting as goals, and your natural gift for the more analytical side of the game makes you a strong contender to go all the way to the Premier League as one of the industry’s most gifted statisticians. You know the name of every player, can talk faster than thought humanly possible, and your enthusiasm never falters - even when the game’s gone 10 minutes into extra time. Like the Premier League’s young and talented Kelly Somers, you’ve got the gift of the gab to excel in a career as a TV presenter! You love to be at the heart of the business side of the game, which could give you a real edge in a role such as a player's agent, negotiating deals for clients! Your passion for playing the sport means you belong on the field, competing with the 1% of players who make it to the very top of the game! You have a natural talent working with numbers, and an unstoppable passion for the beautiful game. Time to bring the two together to pursue your perfect career! You control the conversation, always offer a unique insight, and are never afraid to express your opinion in high pressured debates. This puts you in a very strong position to pursue a career in the limelight as a football pundit! You would travel to every corner of the globe to capture the action first hand, sharing your own unique perspective of the beautiful game, to create ever lasting memories for your passionate audience. Feeling a responsibility to help others, while also wanting to be at the centre of the action, means a role such as physio could be the perfect role for you! You see the pitch and everything about the stadium as a thing of beauty, and with a passion for working outside you would suit the life of a Club Groundsman! Where is your ideal workspace? What's your favourite subject in school? What would you prefer to wear at work?